The Better Hearing Institute (BHI) has been conducting research and engages in hearing health education with the goal of helping people with hearing loss benefit from proper treatment. If you or someone you know has been avoiding getting help with a hearing problem – think again – research shows that those with hearing loss who use hearing aids enjoy a better overall quality of life. If you already wear hearing aids, you know the kinds of benefits they give you. Hearing aids have most likely made it easier to have conversations with your friends and family—especially when you’re out at restaurants or in a group. But hearing aids do much more than enrich your social life. They may actually have a profound impact on your brain by keeping you mentally sharp, lowering your risk of depression, and improving your balance. If you already wear hearing aids all the time, pat yourself on the back; you may be improving your brain function! If you only wear them occasionally (or rarely), here are four facts—backed by medical studies—that may encourage you to wear them more often. In this 25-year study, scientists measured mental decline in people with hearing loss and people with normal hearing. The study found that people who had hearing loss—and chose not to wear hearing aids—showed significant mental decline compared to people with normal hearing. However, people with hearing loss who wore hearing aids performed the same on cognitive tests as people without any hearing loss! Want to stay sharp as you age? Keep wearing those hearing aids. A recent study from Texas A&M University tested a group of people with hearing loss on a series of tasks to measure their memory, ability to focus, and the speed at which they process information. Then they gave the participants hearing aids. After only six weeks of wearing hearing aids, participants saw improvements in all areas of cognitive function. They could remember things better, focus better, and showed they were processing information faster than before. Not only can hearing aids keep you mentally sharp, but having better memory and focus as well as faster mental processing actually makes you seem younger to the people you interact with every day! The National Council on Aging surveyed over 4,000 people with hearing loss, both with and without hearing aids. Among a myriad of findings, they discovered that people who chose to wear hearing aids reported lower levels of depression and showed fewer outward signs of being depressed. They also found that people with hearing aids showed greater emotional stability and their families reported that they were less likely to become angry or frustrated. Overall, respondents who wore hearing aids felt that they had more control over their lives and a more positive outlook in general. To stay positive and happy, make sure you’re wearing your hearing aids. Although hearing loss has long been associated with an increased risk of falls in older adults, researchers at The Washington University School of Medicine found that, people with hearing loss performed better on balance tests and were less likely to fall when they wore hearing aids. Having better balance with hearing aids means a reduced chance of major injuries and a lower risk of expensive hospitalizations. Do you want to experience better brain function, lower your risk of depression and mental decline, and be at lower risk of falling? Wearing your hearing aids more often can help. 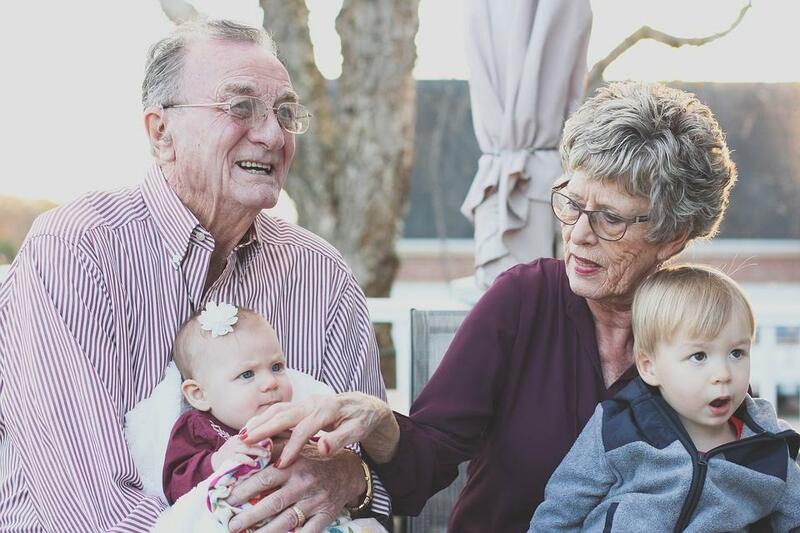 As a side benefit, the families of people who have hearing loss report that those who wear hearing aids participate more in social activities and have better relationships with the people they love as a result—creating a higher quality of life overall. We encourage you not only to wear your hearing aids more often for your own benefit but to also pass this information on to family and friends who haven’t yet addressed their hearing loss and encourage them to get it checked out. Let’s help everyone improve their lives and long-term health by treating hearing loss today! YOU LIKE TO BE ACTIVE. YOU’RE TECH SAVVY AND MAKE THE MOST OF WHAT MODERN LIFE HAS TO OFFER. Contact us for more information hearing loss and hearing aids or call to schedule an appointment to discuss your hearing needs today. If you, or someone close to you, have hearing loss or difficulties, and you’d like to learn more about the Widex BEYOND aids, we invite you to have a free consultation with our expert audiologist. Resonance Audiology & Hearing Aid Center, LLC audiologists are here to support you with superior hearing healthcare, hearing aids, and treatment solutions for you or your loved one – call us or visit us – 717.925.6112.